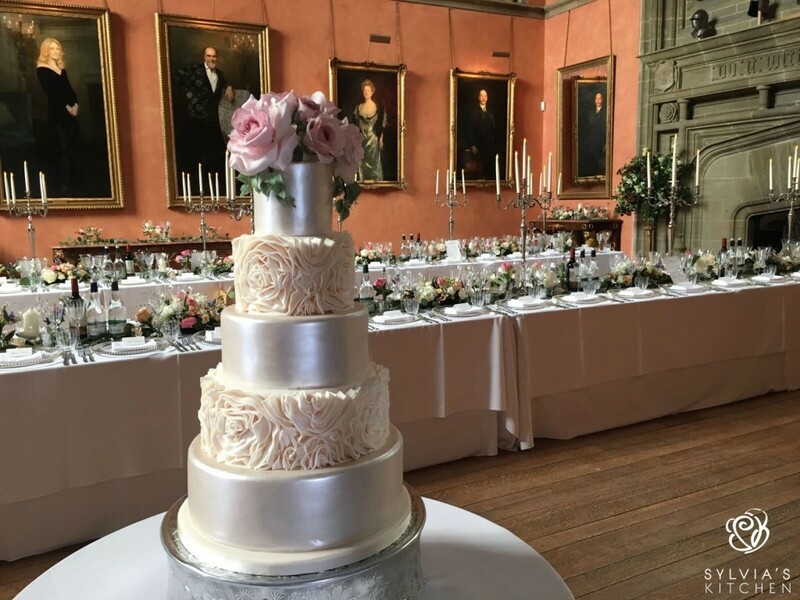 Five tier wedding cake at Cowdray House, Cowdray Estate, Midhurst, West Sussex. Base tier and alternating tiers finished with a smooth champagne lustre, two alternating tiers in between finished with soft ivory sugar ruffles. 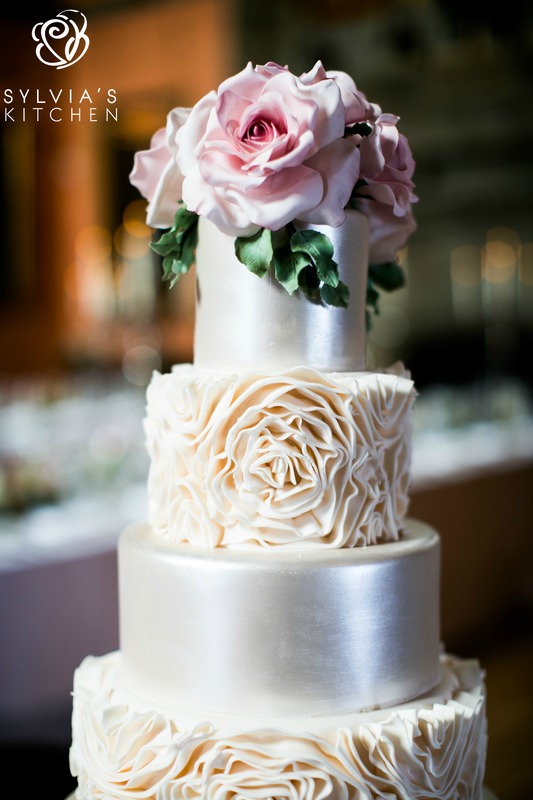 Top tier decorated with sugar full bloom English Tea Roses and sugar dark green foliage. Base tier of Madagascan vanilla sponge with whipped Belgian couverture white chocolate ganache and Raspberry Conserve. Tier one of Madagascan vanilla sponge with whipped Belgian couverture white chocolate ganache and Raspberry Conserve. Tier two of fresh lemon sponge with whipped lemoncurd buttercream. Tier three of Belgian dark chocolate sponge with whipped Belgian couverture chocolate ganache. Tier four of Belgian dark chocolate sponge with whipped Belgian couverture chocolate ganache. Wedding cake serves approx 200 finger portions. Images kindly provided by Ben Moore Wedding Photography.